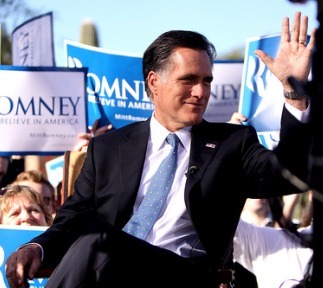 On July 25 Mitt Romney took his presidential campaign abroad, as candidate Obama did in 2008. Such tours, whose ostensible purpose is to demonstrate knowledge of the world beyond America’s shores, are often scored on how foreigners respond to our potential president. Obama did well on that count, especially in Berlin, where he could have won the chancellorship if he’d stayed. He continued to boost his foreign-policy credentials by visiting Afghanistan, Iraq, Jordan, Israel, France, and the UK. Foreign policy is not high on U.S. voters’ checklist (see “Inward Bound”). Still, we don’t want anyone too inept representing the United States, do we? Foreign-policy pronouncements, gestures, and hints must be offered, even though after the election reality eclipses them. Romney’s summer trip included the UK (for the Olympics), Israel (for the Jewish and Evangelical vote), and Poland (to tweak the Russians and draw Pennsylvania’s many Polish-American voters). The British were taken aback by Romney’s undiplomatic remarks about their government’s preparations for the Olympics and responded in kind. The Israeli government welcomed his ardent support for its policies on Iran, while the Palestinians objected to his claim that their economic difficulties were due to a cultural deficit. Romney’s off-the-cuff foreign-policy remarks, at home and abroad, carry a menacing tone, though he’s usually attacking Obama, not Putin or the Taliban. His hawkish views include being tough on China: he called the administration’s decision to allow Chinese dissident Chen Guangcheng to leave the U.S. embassy for medical treatment “a day of shame.” That criticism evaporated after the embassy and the Chinese government negotiated Chen’s departure for the United States. In Afghanistan, Obama is steadily drawing down U.S. troops; Romney would wait until 2014—it’s not clear why. He is ready to bomb Iran (or to let Israel do it), send weapons to the Syrian opposition, and bring back the Cold War with Russia. In a speech last autumn at South Carolina’s military college, the Citadel, he declared that this will be the “American Century,” failing to note the unfinished fiscal and diplomatic business of the last one. Romney’s positions generally track with those of the neoconservative foreign-policy establishment. Reagan- and Bush II–era names feature prominently among his advisers: John Bolton, Elliott Abrams, Robert Kagan, Eric Edelman, Michael Hayden, Dan Senor, Dov Zakheim; moderates Colin Powell, Brent Scowcroft, James Baker, and Henry Kissinger are notably absent. He is an enthusiastic supporter of Israeli Prime Minister Benjamin Net-anyahu. In their younger days, the two were colleagues at the Boston Consulting Group, and they have remained friends. While accusing Obama of throwing Israel under the bus, Romney declares that if he’s elected, “we will not have an inch of difference between ourselves and our ally Israel” (he really means between the United States and Netanyahu). Referring to Jerusalem as the capital of Israel, Romney went beyond official U.S. policy: presidents of both parties have refused to move the embassy from Tel Aviv and insisted that Israel stop the West Bank settlements and negotiate with the Palestinians. Even George W. Bush took this line. In keeping with Netanyahu’s views, in 2007 Romney called for the UN to indict Iranian President Mahmoud Ahmadinejad on charges of genocide. Regardless of disputes about the correct translation of Ahmadinejad’s call for the end of a Zionist government in Israel, speech does not constitute genocide in international law. Nor does the United States belong to the International Court of Justice—Romney’s passionate plea was short on facts and diplomatic reality. Of course, policies concocted on the campaign trail can play out differently in office. A candidate’s campaign promises are subject to the views of diplomats, the military, Congress, our allies, and, naturally, our enemies. Still, a candidate can significantly affect current policy. Take, for example, Iran. Obama has staved off an Israeli attack on Iran by ratcheting up the sanctions regime, imposing an oil embargo, and blocking Iran’s access to international financial mechanisms. A crisis before the election—a run-in, say, between U.S. and Iranian forces in the Strait of Hormuz—could unleash the Romney-Net-anyahu coalition calling for war with Iran. Obama, with the support of the U.S. military, would likely resist. Would that cost him the election? Possibly. Those dismayed with the Obama administration’s Middle East policy, along with its use of drones, assassinations, cyber-attacks, and sanctions, need to remind themselves of how Bush II’s advisers performed last time. Do they deserve another chance—a chance Romney would surely give them?